Here's a quick little project using the Thoroughly Modern File Folders (pg. 169, IBC). I was playing around with them, trying to come up with a way to use all of the junior legal pads that I had cut in half at Office Depot a couple of weeks ago. This makes a fast and economical gift - you can create 4 note pad holders out of one file folder! 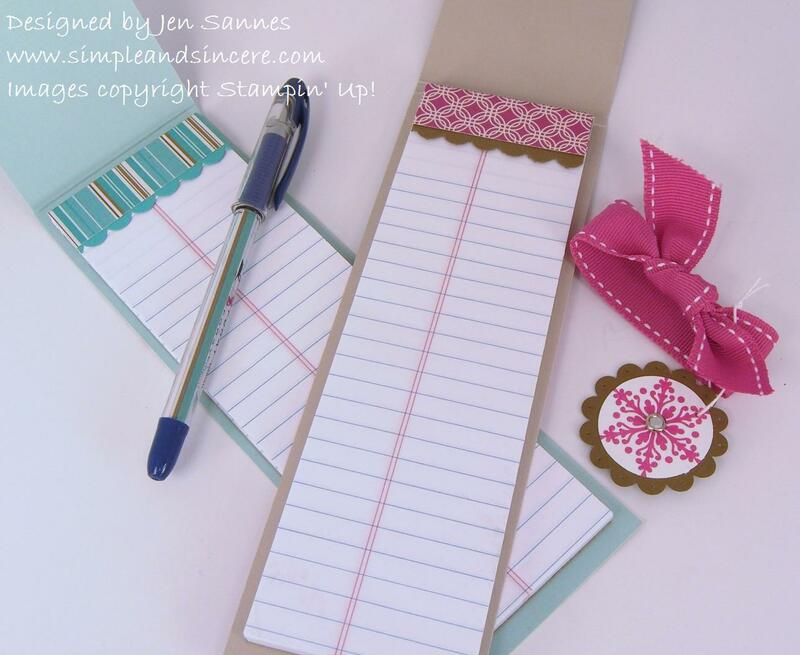 As you can see in the first picture, I embellished one note pad with a pretty snowflake tag (from Patterned Pines) and the other note pad has a matching pen. I presented this project at a recent stampin' birthday party and the girls LOVED it! I also gave them the option of adding a magnetic strip to the back, just in case they wanted to hang it up in their locker (how cool is that?). 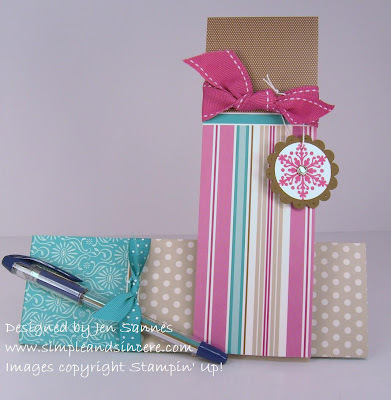 We will be making this project at my upcoming Small Gift Stamp Camp, and I will post instructions after that. I really love it too! How beautiful is that DSP? Hope we get it in Oz soon!! These are so cute! I just found your blog and am so impressed! I love simple things to make! Thank you for sharing!